JDengineers successfully installed a brand new Tanabe specialty folder gluer at Goe-service in France. For Goe-service this is a new experience in the corrugated board industry. The company is specialized in products for the wine industry in the Languedoc –Roussillon region. 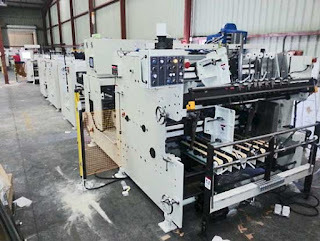 With an investment in new machinery like a Cartec casemaker , a new flatbad diecutter and now a folder gluer, the company is able to deliver custom made packaging for their customers. Although the operators had no experience, they are able to produce different kinds of boxes after only a few days of training. 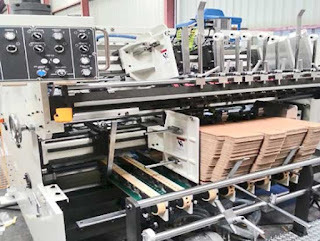 The Tanabe is equipped with a tandemfeeder for 2-piece boxes, a Nordson hotmelt and PVA glue-system. Also a 6-corner device is available to be prepared for the future.